Increase students' engagement, employability, and promote collaboration. Explain to students that they're expected to make a blog (or website or e-portfolio). This should include essays (or projects, etc.) from the term. Refer students to software they can use. You may want to use something provided by the institution. It is worth having in mind the benefits of allowing students to create their e-portfolio on a medium that they will have access to after graduation (e.g. Wordpress). 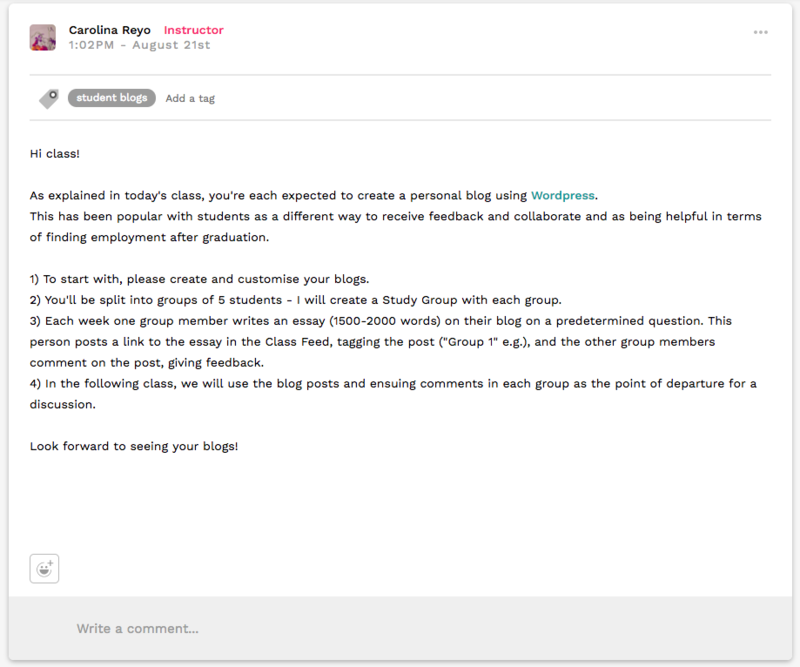 Use students' blogs throughout the term. For example, you could split students into groups of 4-6 students, having them alternate between writing an essay and commenting on or critiquing others' essays. To prepare students to give constructive peer feedback, you may want to do an exemplary peer feedback exercise with them.